We begin with CBS News. The president of CBS News, David Rhodes, of course has a brother named Ben. Benny Rhodes, born 1977, serves as an Obama confidante and national security adviser. “What’s especially strange about the article is that, for those of us who continue to wonder how a virtual cipher rose so quickly from the Illinois legislature to become the most powerful person in the world, we end up wondering the same thing about an aspiring novelist from New York City who fairly catapults to enormous influence in shaping policy regarding some of the most complex and sensitive matters facing this country. In addition to the CBS link, perhaps this is all we really need to know about Benny: as Baker points out, Benny helped draft the collection of lies and omissions that is the 9/11 commission report. Thank goodness, though, for the Pentagon and CIA bombings in Syria, since, as CBS relays, Khorasan “was nearing”, per Lt. Gen. William Mayville (director of operations for the joint chiefs of staff), “the execution phase of an attack either in Europe or the homeland.” Correspondingly, we have more scare-talk regarding stuff like toothpaste and airplanes. Could Khorasan conceivably have something to do with the 9/11 and 9/19 White House fence jumpers/intruders? Very conceivably indeed, and shortly we will turn to data and theory in support of this contention. And yet, on September 19, Gonzalez, who also, it must be mentioned, had lost part of his foot in combat, did in fact make it through the front door of the White House. This is made even more curious by the fact that the Secret Service seems to have no trouble tackling the 9/11 intruder. Anyway, isn’t the surveillance state great? With the preceding facts in mind, let’s turn to some empirical data concerning the collection of White House intruders over the years and make a couple of observations. While an imperfect data source, this Wikipedia list of White House intruders can be cross-checked with a Lexis/Nexis search and is at least somewhat informative. Examination of the list compels the following admittedly informal observation: it appears that in the history of the United States we have never seen two White House fence jumpers in an eight day or less span (the list includes cases involving other forms of intrusion). When one couples that observation with recognition that the gap times between White House intrusions have tended to be rather lengthy in duration, we do have to wonder whether Obama was visited last week with two very unsavory messages that were decidedly not random in nature. Clearly, the list is incomplete and in all likelihood does not include unreported intrusions. Nonetheless, the 9/11 and 9/19 intrusions, like the rest of the events in the list, were widely reported, not kept secret in government files—and so the point probably holds. 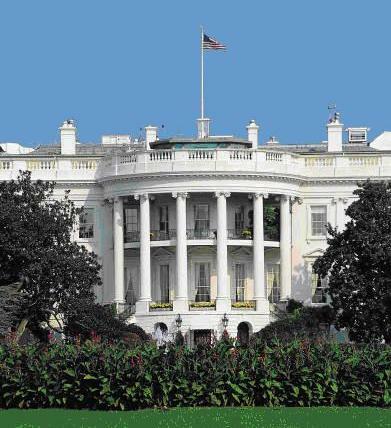 To see the potential connection of the White House fence jumpers with Khorasan, let’s consider a theory articulated in a series of relatively recent Global Research articles by this author and then adduce a bit more data. The theory has been this: shadow government neocons have been exerting tremendous pressure on Obama to engage in extreme aggression in Syria and the Middle East more generally, and certain events are best read as thinly veiled attempts to force Obama to act. Thus, and succinctly for present purposes, vanishing airliners (click here and here) can be interpreted as having raised, among several other things, the specter of 9/11. The allegedly vanished 11 Libyan jetliners were not mentioned until two weeks after their supposed disappearance, and then only right after a quite possibly fake second fake beheading video was, it was claimed, accidentally released. Very soon thereafter, France suspended a contract to deliver two Mistral warships to Russia. These events happened on 9/2 and 9/3. On 9/11, alongside the first White House fence jumper, the ghost of bin Laden appeared at the 9/11 museum in the form of a uniform supposedly worn by a Seal Team Six member during the fake bin Laden raid. An interesting, and quite disturbing, reminder of sorts, wouldn’t you say? Now to a bit more data in the form of certain Obama comments during the past couple of weeks, which we’ll put together with the theory in order to derive some conclusions. On 9/7, in response to criticism of his purportedly callous golfing reaction to the James Foley “beheading” event, Obama stated: “part of this job is also the theater of it…it doesn’t come naturally to me.” We might respond with something like: “Theater indeed.” Next, here’s the full text of Obama’s 9/10 ISIS speech. Guess what: there’s no mention of “Khorasan”—that most evil and menacing of targets and brand spanking new raision d’ȇtre for war!—at all. If Obama didn’t get the message on 9/10, there is every reason to believe he has it now, since, in Obama’s 10 AM (EST) 9/23 speech, we finally hear tell of the great new bin Laden-style evil in the world—Khorasan. And just in case any doubts remained about his commitment, Obama was kind enough to inform us that he was interested not just in bombing ISIS, but also in aiding resistance to Assad (see immediately preceding link beginning at around 1:36, and note in particular the way he kind of slips in, almost as a kind of weird, disassociated-sounding afterthought, the “and the Assad regime” language. Is it unreasonable to suppose that the two statistically unprecedented White House fence jumpers (two in 8 days, the first on 9/11) “helped” Obama make his decisions, including the manufacturing of the Khorasans—especially when we consider that the second jumper made it into the White House in spite of a wounded foot and a prior stop by the Secret Service that revealed a sniper rifle and a map suggesting a White House target?